The deputy minister of education, Hon. 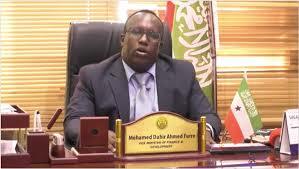 Mohamed Dahir Ahmed has announced that the government is committed to seek the provision of welfare to public instructors in Somaliland. The assistant minister made the remarks during a speech that he delivered at a function where the education ministry has adsorbed 400 teachers and included into the gov’t payroll. Hon. Mohamed has urged the public to work with the teachers and do all they can to support as they are the back bone of country’s development. Mr. Mohamed has further said that as the ministry of education is determined to seek welfare to the teachers. Majority of Somaliland families send their children to private schools as they have got quality teachers. Those who cannot afford, they send their kids to public schools as they cannot compete with their counterparts in terms of salaries.